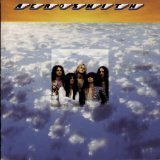 Dr. Rock's Blog & Roll: Album of the Day: Aerosmith (1/13/73) 37 Years! Album of the Day: Aerosmith (1/13/73) 37 Years! America’s favorite bar band-turned-rock superstars, Aerosmith (click here for my Top 25 Aerosmith playlist) burst from their Boston-centric fan base on January 13, 1973 with their self-titled debut album. They’d been touring the Northeast for nearly three years after frontman Steve Tyler and guitarist Joe Perry met in an ice cream parlor in central New Hampshire in the summer of 1970. Through constant road work, Aerosmith steadily honed the swaggering bluesy hard rock that made them the hottest hard rock band in America in the late 70s. The debut LP Aerosmith attracted generous, but not universal attention. It peaked at #21 on the Billboard 200 album chart with two memorable rock gems (“Mama Kin” and “Walkin’ The Dog”) plus “Dream On”, a classic rock track and an early entry in the 70s/80s “power ballad” genre. As a single, “Dream On” peaked at #59 in 1973 and rose to #6 in 1976 when re-released after the band reached superstardom with the LPs Toys In The Attic (1975) and its follow-up, Rocks (1976). Aerosmith is not available on iTunes but can be purchased as a CD or mp3 downloads from Amazon (click here).